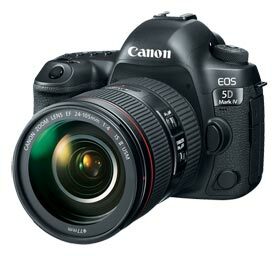 The 30.4 megapixel Canon EOS 5D Mark IV is Canon’s newest in the 5D Full Frame series of digital SLRs, the follow on model to the extremely popular 5D Mark III. The new 5D Mark IV is not only upgraded to address picture quality, but is putting in features that will make filmmakers more productive. This model adds 4K Cinematic Video recording capability (24,25,& 30 fps). You can extract 8.8 megapixel screen grabs from each frame of video. Previous 5D versions have been used to film both TV shows and Movies, including Walking Dead, Hawaii Five-O, 24, and much more. This model will be popular with photo journalists that require both photos and video. 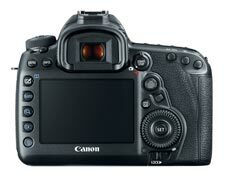 This is the first EOS 5D version with Touchscreen Capability and the resolution has been bumped up 1.62 million dots. 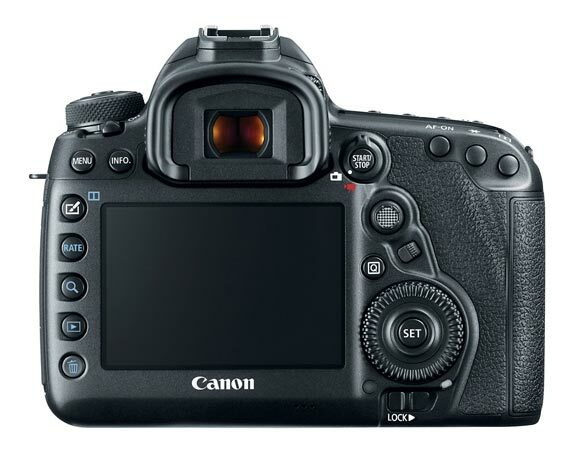 The latest Dual Pixel CMOS AF Autofocus system is installed (first introduced in Canon 70D & 80D models). For speed the camera has upgraded to the latest Digic 6+ chip, and the burst rate has increased to 7fps even with the higher megapixel count. Other features include 61 AF points, ISO 100-32000, Added WiFi, NFC and GPS, New Meter Sensor. Professional Video Features: The movie mode can shoot DCI 4K Cinematic Video 4096×2160 (same as movie theater projectors) at 24,25, & 30fps. The recording bitrate for 4K is up to 500Mbps. Shooting in 4K has a crop factor of 1.74x. So your 16mm lens will act as a 28mm lens when shooting 4K. The 4K will not output via HDMI port, but records in body. For 4K, maximum clip length is 29 Minutes, 59 Seconds. Full HD 1080p (1920×1080) can be recorded at 24,30 & 60fps. Full HD can be output via HDMI. The new touchscreen allows you to choose focus points and can be viewed even if wearing polarized sunglasses. If you are not manually focusing, the Dual Pixel CMOS AF enables continuous automatic AF and AF tracking. For audio, you have a headphone jack, and can monitor the audio levels on screen. Using the power of Canon’s new Digic 6+ chip has reduced video artifacts such as chromatic aberration, moiré artifacting, and rolling shutter. Advanced Features: The Native ISO has increased to ISO 100-32,000 (expandable to 102,400), Burst mode of 7 frames per second, Upgraded Autofocus to 61 AF points, HDR Mode (High Dynamic Range), Shutter durability of 150,000 cycles. The built-in mini HDMI port can hook up to an HDTV or monitor. The back of the camera features a high resolution 3-inch LCD screen (1,040,000 pixels). Use the large LCD with the Live View Function for composition of both pictures and video. EOS Dust Removal System removes dust from the full frame sensor automatically. The 5D Mark IV’s magnesium alloy body is dust and weather resistant. Upgrade features from the 5D Mark III: Added Cinematic 4K Video Recording ( 4096 x 2160), 120fps Full HD Recording, 8.8mp stills can be extracted from 4K video. New HDR movie mode. ISO range goes up to ISO 100-32000 with 50-102400 expansion , 61 AF points (with 41 cross points), Burst mode to 7 fps from 6. Higher resolution touchscreen 1,620,000 dots resolution (last model had no touchscreen). New silent modes. Reduction in chromatic aberration, moiré artifacting, and rolling shutter in video mode. Added Wifi, NFC, and GPS. USB 3.0 port versus 2.0 on older model. New 150,000-pixel RGB+IR metering sensor. Upgraded to 30.4 megapixels (up from 22.3), Added Dual Pixel Raw format, New faster Digic 6+ processor, Add the great Dual Pixel CMOS AF seen on the 70D & 80D, 29 minutes of shooting time per clip (up from 12 minutes). Memory Cards and Battery: Dual CF and SD Card Slot. Compatible with UDMA CF cards; SD, SDHC, and SDXC UHS-I supported Memory Cards. Lithium-ion battery LP-E6 (included). USB 3.0. Dimensions: 5.93″ x 4.58″ x 2.99″ ( 31.4 ounces – body only). Smart-Review Commentary: Canon’s 5D Mark IV is a greatly improved camera for both photo and video. The upgraded megapixel resolution,ISO, Dual Pixel CMOS AF, Upgraded Metering, and Burst Rate, will help you get better picture quality. For functionality, the higher resolution LCD now has touchscreen capability, giving you more options, especially in video. Finally Canon has given us 4K Cinematic video recording capability to catch up with the competition. New silent modes when shooting photographs. The 4K video has a crop factor of 1.74x. Full HD 1080p Video now is up to 60fps. The Dual card slots allow you to record longer, or make a realtime backup. 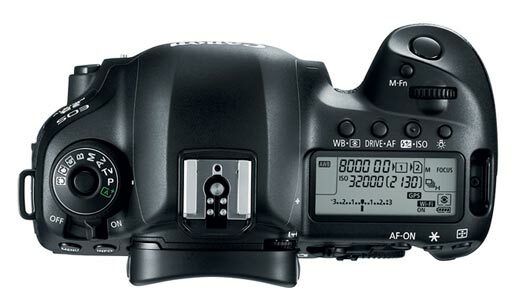 Canon has also added connectivity features, such as WiFi, NFC, and GPS. This feature packed model is not only a Smart-Review top pick, but has won our BEST OF 2018 award for best Full Frame DSLRs.